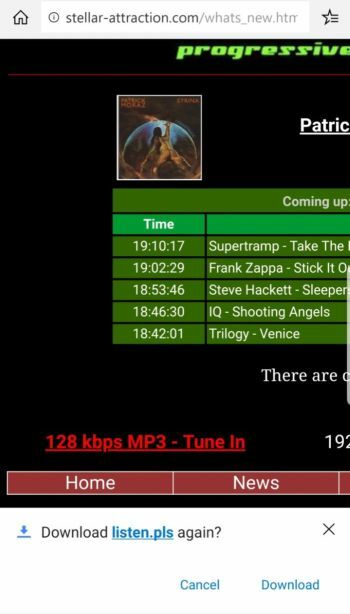 How can I listen using an android? I select Tune In, download the pls, select it and nothing happens. Once downloaded, the media player on your mobile device that is associated with a .pls file will open and start playing S.A. Lets go through the steps in the following example. Once downloaded, the Android mobile device prompts, asking if this file should be opened. 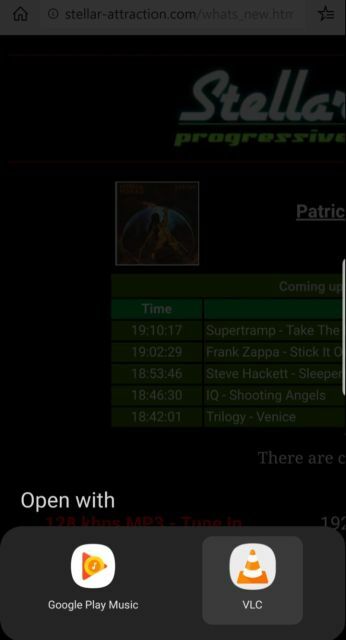 Having clicked on 'Open', the two media players associated with a .pls file on the Android mobile device are displayed as options to open the file. 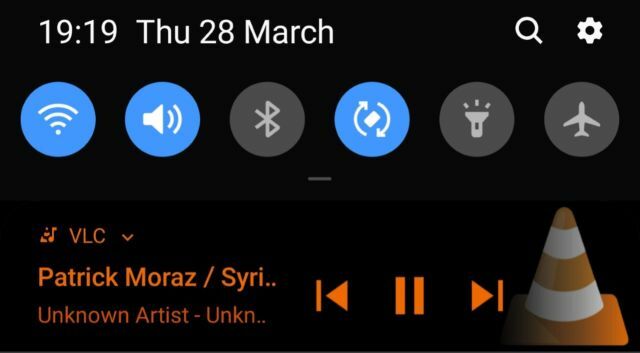 In this example, the two media players are Google Play Music and VLC. 'VLC' is selected as the chosen media player, S.A. immediately starts playing using the VLC Player app as shown in the screen-shot below. 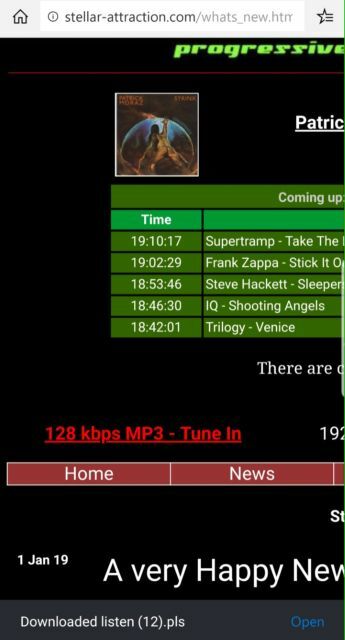 If of interest, the contents of the .pls file for the 128 kbps MP3 stream is below. Lastly, S.A. can also be easily found on the TuneIn radio app which is often bundled with mobile and internet enabled devices. Simply search for "Stellar Attraction" and it will come up straight away. If you need any more info., please let me know. Page completed in 0.1902 seconds.